Ask most folks about Long Beach Island, and they’ve never even heard of High Bar Harbor. If you wind up in a High Bar Harbor vacation rental, you can keep it your little secret. You come over the causeway bridge onto LBI and drive to the most northern point, then hook a left into a hidden neighborhood. High Bar is a tiny spit off Long Beach Island with an extensive lagoon system, a favorite of boaters. It’s also home to High Bar Harbor Yacht Club, a busting marina for sailing and fishing boats. There aren’t any businesses n High Bar Harbor, but families who choose to rent here find that everything they need is in nearby Barnegat Light. Viking Village, so named for the Scandinavian fishermen who settled the harbor offers Off the Hook, Viking Outfitters, the Seawife, Sugar Shack Wink, How Ya Brewin, Frank’s Produce, Cassidy’s Fish Market, and the Spotted Whale, just a short bike ride away. And that’s not to mention all the festivals. Just a short drive further are Mustache Bill’s, Kubel’s, and the recently opened Daymark. Of course, the famed Old Barney Lighthouse stands watch over the area as well. 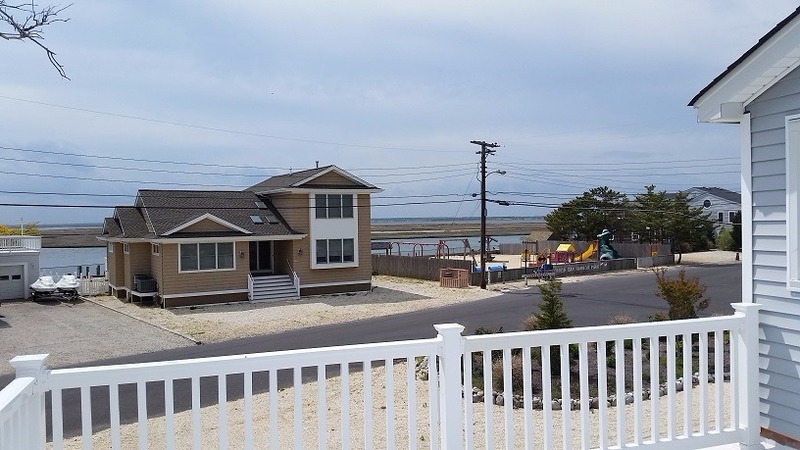 This area has quiet bay beaches that face Barnegat Inlet and some great fishing. The closest beaches are Barnegat Light’s with wide sandy stretches and the extensive dune system.